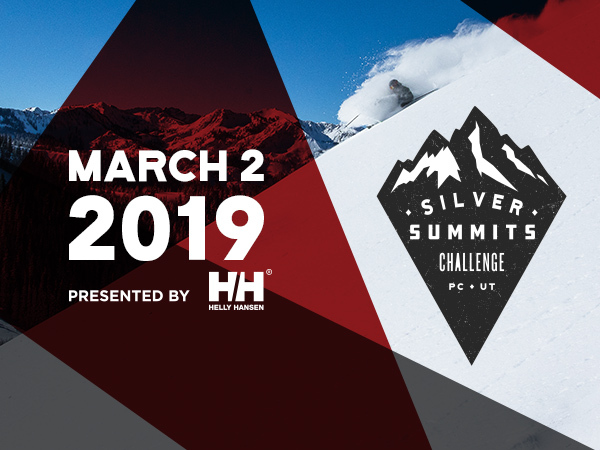 Park City Mountain will host the second annual Silver Summits Challenge on Saturday, March 2. Participants have one day to ski or snowboard across Park City Mountain’s 7,300 acres and hitting seven major peaks on their way. A portion of all registration fees will be donated to SOS Outreach. PARK CITY, Utah – Feb. 14, 2019 – The snow is falling at Park City Mountain and with over six feet of fresh powder already this February, the resort is preparing to host the second annual Silver Summits Challenge on Saturday, March. 2. This is the ultimate challenge for skiers and snowboarders to test themselves, explore the mountain wall-to-wall, hike a handful of peaks and discover the best powder stashes and advanced terrain Park City Mountain has to offer, all in one day. About: Designed as a completion challenge for advanced skiers and snowboarders who truly want to conquer the largest ski resort in the United States, the Silver Summits Challenge takes participants on a winter adventure from one edge of Park City Mountain to the other tackling seven of the resort’s most iconic peaks including Jupiter Peak, Dream Peak and 9990. This event isn't for the faint of heart. To complete the challenge, participants will be required to hike a handful of peaks and navigate their way across some of the most advanced terrain on the mountain. Participants can choose their own routes, but must check in at all seven pre-designated peak locations on the mountain. The challenge will begin at the Canyons Village and end with a celebratory après ski party at Legacy Lodge featuring live music from Muddpuddle. The event is designed as a completion challenge, not a race. In addition to bragging rights, all participants who complete the challenge will receive a commemorative pin and gift and will be entered into an opportunity drawing to win prizes. Event registration is open now here. Registration will also be open on the day of the event dependent on availability. A portion of all registration fees will be donated to local Park City nonprofit SOS Outreach. Additional information, including an event schedule is posted here. For details on events and lodging and updates on terrain and weather reports, visit ParkCityMountain.com.